Are you ready to make changes to improve your life? I would love to help you clear anything that has been in the way of your dreams and goals. You might want to heal a physical imbalance and find out the emotional cause. Having a holistic understanding will give you the clarity you need to make new decisions. Maybe you’re seeking more happiness, calmness, clarity and well-being. Maybe you want to expand your business. You might want support as you work towards a big goal or event in your life. You might be seeking help in getting over a trauma, clearing negative imprints, attracting a positive new relationship, or preparing for a pregnancy. Perhaps career/vocation or financial goals are your main priority at present. You can have the life you deserve! If you’re committed to creating change in your life, I’m here to support you. Please book in advance to secure your appointment. I will ask for a non refundable deposit of $50/30€ to secure your booking. A series of five sessions to support you in multiple ways. An initial Crystal Dreaming session, followed by two kinesiology sessions and a 5Rhythms/Slow Dance session to free you and embody the new you. Finally we have a Skype session completing the process. To be used within 5 months so that you can deepen your healing and empowering journey with continuing support. A series of six sessions to support you on your life journey. 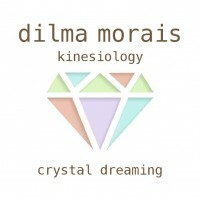 One initial Crystal Dreaming, four Kinesiology session in person and, finally, one Skype session (Kinesiology). To be used within 6 months so that you can deepen your healing and empowering journey with ongoing support. I find that having regular sessions help us work on more subtle issues. As the big ones get out of the way, we can then explore other parts of the puzzle and become happier and freer. A moving meditation practice designed to free your body, mind and soul. There are no steps to follow, its supper fun and you will feel vitalised and light! We will work with the elements of dance that will be more healing for you. This is a great way to integrate and embody what we worked on in a Kinesiology or Crystal Dreaming session. Chakras are the bodies main energy centers, which are connected to major organs and glands that govern our body parts. When they are in balance, they spin and draw universal life force energy keeping us in a healthy spiritual, mental and emotional state. Chakras can easily go out of balance due to stress making us vulnerable. Skype – anywhere in the world. I started doing Skype sessions on Jacqueline, my good friend in Paris, about 5 years ago. We know each other very well and we both practice Reiki and energy work in general. The results were so “spot on” that I carried on practicing with other friends via skype. It works like a normal session but we use video to communicate. Instead of muscle testing your body, with your permission I test mine and surrogate for you. I may ask you to do some practical corrections (I will demonstrate first), read messages from flower essence or any pages that show up for you in the testing. With permission from your highest self, any YES/NO question can be answered and you will get clarity of what is doing you good and what needs changing. Its a fascinating process. I ask for your openness and willingness to go into new territories. There is a high demand for appointments, therefore late changes impact both Dilma and other clients who may have needed your appointment time. Please provide a minimum of 24 hours notice or you may be charged for your appointment.